Over 100 years of experience and innovation have led to the development of a wide range of high-efficiency hammer mills for a variety of applications. The Anderson Feed Technology series 650 Hammer Mills are perfectly suited for grinding ingredients as large as in inch down to 200 micron in size. The Series 650 Hammer Mills feature a solid, all-welded construction and come with a number of state of the art features. 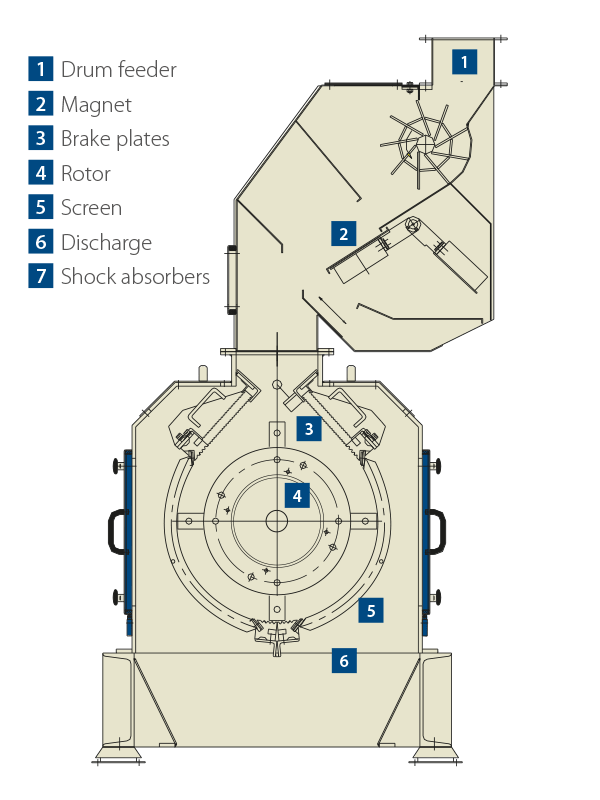 For optimum efficiency in grinding it is essential for the feed to be even and for the ground product to be discharged as fast as possible from the grinding chamber. The mechanically driven feeder ensures an even feed over the whole width of the mill and the automatic load control controls the feed in proportion to the load on the main motor. The drum type will provide a full load in 10 seconds from startup. It includes a permanent magnet and stone trap, and an auto magnet cleaning device.